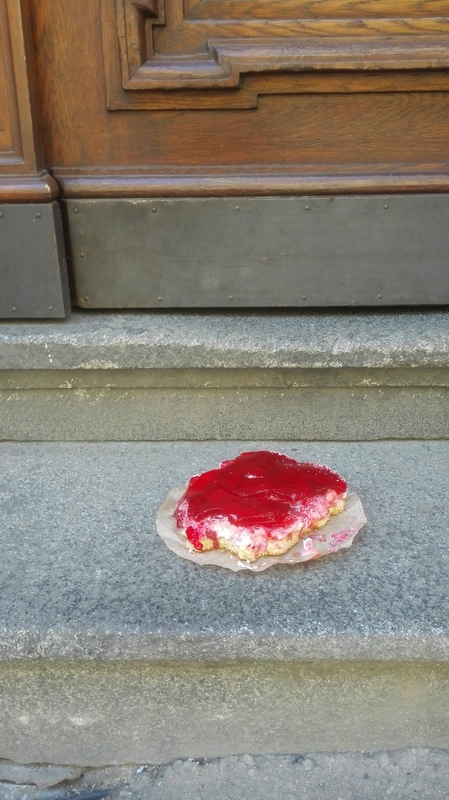 This entry was posted in Food, Life/Photography and tagged Cake, Czech Republic, door steps, Pavement, Photography, Prague, Praha, Sidewalk, step, strawberry, Street, Vinohrady. Bookmark the permalink. Yeah. I hear you. 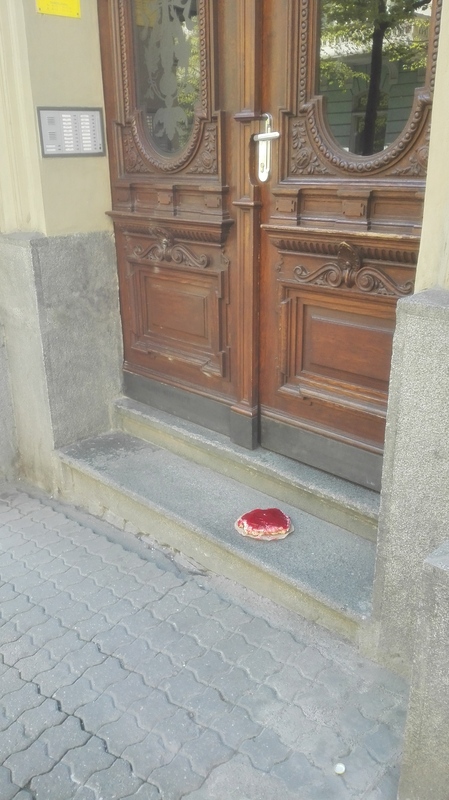 A total waste of a perfectly good cake, right? LOL! How creative. I do not think I would ever abandon that though.